Let me state that for the record (and because I want them to know how much I love and appreciate them). My high school BFF and I have parenting a special needs child as yet another commonality between our lives. And she sent me a quick tweet last night so I could decide whether or not I'd participate in this Flash Blog...it's like a Flash Mob, but done on the internet. 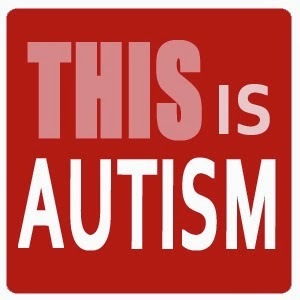 Why a Flash Blog with the topic, "This is Autism"? It goes back to last week when Autism Speaks posted an article written by their co-founder Suzanne Wright. In her article "Autism Speaks to Washington -- A Call to Action," she says some things that were considered inflammatory by the autism community. This is the point where I put in a BIG disclosure. I am a board member for the Autism Society in my state. As a board member, I attempt to never sling mud at other autism organizations. 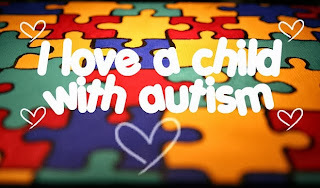 So writing a very public blog post, you will find me not slinging mud, but sharing my personal experience with autism. You have the link (above) and you can read her words without me telling them to you. "This week is the week America will fully wake up to the autism crisis. If three million children in America one day went missing – what would we as a country do?If three million children in America one morning fell gravely ill – what would we as a country do?We would call out the Army, Navy, Air Force and Marines. We’d call up every member of the National Guard. We’d use every piece of equipment ever made.We’d leave no stone unturned.Yet we’ve for the most part lost touch with three million American children, and as a nation we’ve done nothing." And now, keeping my blog at the highest point of integrity, I will not commentate any further upon her article. I want to tell you my autism story. My autism story revolves around a child who is not lost or missing. He lives here, at home, with his parents, his brother and his sister. He is not gravely ill, he has a neurological disorder. His name is Nathan. Nathan was our second child. We already had a precocious 4.5 year old, Andrew when Nathan was born. Head back with me to college, where I (almost) picked up a second bachelor's in teaching. So while I'm not a teacher, I've been trained to be one and I watch my children with half teacher eye, half mommy eye. My teacher eye knew by 18 months that something wasn't right with Nathan we had him tested 5 times (suspecting hearing loss), but never got answers that satisfied us. By Nathan's kindergarten year, we knew he had autism but nobody would agree with me. So when his award-winning teacher starts to dance around an issue at parent-teacher conferences, I knew right away she had something BIG to share. She finally mentions that Nathan has some tendencies similar to other kids she has taught with autism. When we tested him one more time, he was diagnosed with autism (closely resembling Asperger Syndrome). We had three years of intense life. We put him into occupational therapy, speech therapy, listening therapy, social skills class, vision therapy, swimming lessons at a heated pool (for phyiscal therapy), bowling league in the summer for gross motor improvement and piano lessons because I believe each of my kids are required to take piano lessons (and it counted as fine motor skill improvement). I didn't know if I was coming or going most days during this time. I wasn't sleeping well, but we were seeing results. These were the roughest years schedule-wise (although my oldest being in High School Marching Band makes me think all the therapies prepared me for his schedule now). Before the diagnosis, we went through a lot of ups and downs. I won't minimize our experience. Not knowing--being told as a parent that you're wrong and that you're looking for trouble where there is none. Nathan was about 3.5 when he finally started sleeping through the night. I got pregnant a few months later so I went about 5-6 years without sleeping through the night myself. That was hard and I felt in some ways like I was too tired to be a good parent. When Nathan was 4 and would sit on the couch each morning and cry like the world was ending and I'd race to him. I'd hold him close and he would tell me--EVERY DAY--that nobody loved him. I'd reassure him that daddy and I loved him, brother loved him, grandparents loved him and most of all Jesus loved him. Imagine the heartbreak you would experience if one of your children told you at age 4 that nobody--not even you--loved them. Now, six years later, we still have piano lessons (required in my home), but therapies have been replaced. Nathan's a bit too busy to do thearpy--but if we thought it was needed, we'd add it back in. He talks to an autism counselor at school once a week. She helps him with his emotions and is giving him a better understanding and skills to succeed in life. Helping him organize and figure out how to do big projects one bite at a time--and helping him be better at telling teachers when he is overwhelmed and needs help. Then in his week he has fun stuff like Student Council (3 kids out of 150 selected from each team to be on StuCo). He attends youth group weekly, auditioned for (and made) Jazz Band at school. He also made it into Drama Club and Gamers Club. The kid does more 'clubbing' than most big city singles. He plays with the neighbor across the street and has friends at school. We had to cut down his birthday party invite list last year from the 14 kids he started with down to 9 that were in the party package. He suggested all of them because they are his friends at school. 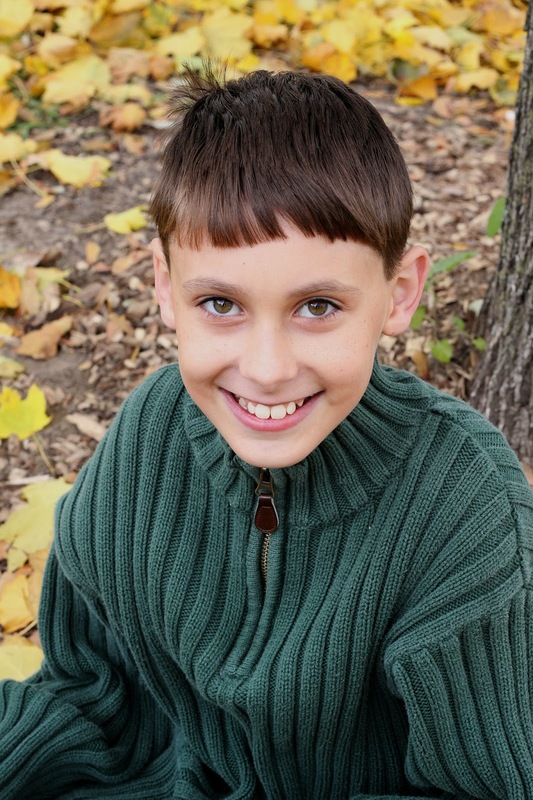 Through his piano teacher, he participates in piano competitions and always does well. He has gotten a Superior Rating at State Music Festival 5 years out of 5. I believe he is LIVING life to the fullest. When I mentioned this Flash Blog, I told him that the original article indicated people with autism aren't living. He took a deep breath and announced, "They are wrong about me, I breathe, I live." I said maybe they meant not enjoying life. He told me, "I know that, mom. I'm just being funny. But I like my life." He likes his life--the child who formerly told me daily that nobody loved him--that kid, he likes his life. I mentioned that some people think autism is a disease that you can catch like a cold. He laughed and said, "Just because my brain thinks differently doesn't make me contagious. It makes me different. And I like how I can get answers that nobody else can think of because of my different brain." From the mouths of babes comes great wisdom. Would I have gone to a shelf of disabilities eleven years ago and pulled autism off the shelf and told someone--give this to my kid? No. But I didn't get to choose. I would never want any child to have a disability...but we don't get to choose as parents. I believe that we are chosen by God. I'm doing the best I can with the gift God entrusted to me. 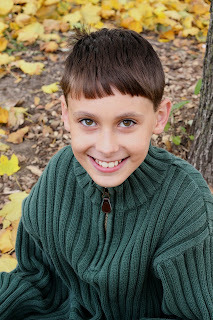 We named him Nathan David all those years ago--before I even knew what the word Autism was. We named him before we ever thought about special needs, IEPs, accommodations, therapies, etc. David means beloved of God. I am raising God's gift whom He loves so much that God Himself would call Nathan His beloved one. I raise Nathan to live his life to the fullest. Not every person with autism will be able to graduate or go on to higher education. But my Nathan, he'll graduate from college and have a job and live independently. He will have friends and a social life. God willing, he will have a wife and children. He will be busy living his life to the fullest. This is Autism...one face of autism. To see all the posts in the Autism Flash Blog, head to the Autism Flash Blog site. "The kid does more 'clubbing' than most big city singles" Cause he is Cool like that! Thank you - crying n the coffee shop over your beautiful blog. You tell 'em! Nathan and Momma - you tell 'em! I like the part where you talk about his name. It's important- he's a PERSON with a NAME- not a diagnosis. Marcus has always been Marcus to me. We're all different, really. I don't know what normal means. Only we can decide if we're living. Working with special needs adults for many years, I knew each of my clients lived life. They had ups and downs, but for the most part I truly felt they enjoyed life much more than those so-called "normal" people out there. I know they enjoyed their lives more than I was enjoying mine. I learned so much from them. Some think that because my clients needed "help" with their basic living skills that they weren't productive or "living". I completely disagree. We ALL need help with something at one time or another. We all are learning (and should continue throughout life). How does that make us any different? And productive? Well, I wrote a blog about that myself because, well, I honestly believe they are productive: they work and consume and do all that, but even moreso, they TEACH. A healthy society needs people who need a bit more help, who can show us joy in little things, who have a wisdom that is beyond us. We need them for our humanity. Of course, Nathan is definitely out there and living! He's definitely teaching us! Nathan has always been an amazing kid. So are your other children. You and Sean are incredible parents, and I thank God for the strength and wisdom He has imparted to you. You are exceedingly blessed. Robin, your child is beautiful and different because you have always loved life with such a passion and never stopped to think what was the definition of normal or different. 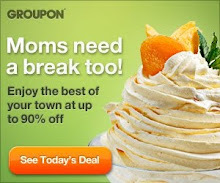 You are the best mom. It is your gift from God and I am honored to know all the Roberts!